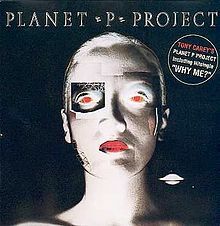 When I posted about the “Project” album, I was enlightened by a comment on the post to the fact that Planet P was only a band in the loosest of terms. 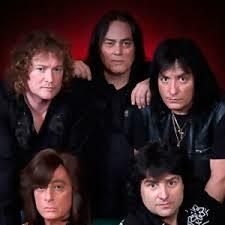 The project was completely under Tony’s control with the named musicians brought in to provide necessary assistance. So now enlightened as I strive to get my facts right, I will say that I’m not really bothered by such semantics in this case. 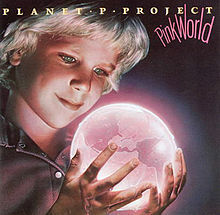 Whether Planet P are a proper band or not doesn’t matter because the result has been two really cool albums, “Pink World” being the second of those. What was cool about MTV in 1984 was that they played videos by artists whose songs were never heard on radio. This case in point, the first single, “What I See,” which was later fused with the track “Behind the Barrier,” both songs fusing to make a rather cool concept video was what got my attention. “Pink World” is a concept album. It tells the story of a young mute boy named Artemis, who can see visions after drinking polluted water, shelters the survivors of a nuclear attack in a place called ‘The Zone.’ Fearful of the boy’s abilities, the government use him to control those living in the zone. As the album goes on, Artemis becomes less sure what to do and in the end vanishes leaving only a pink pool and a basket behind. The residents of “The Zone” realize they no longer need Artemis and leave it. There is a lot of abstract ambiguity here and Tony has always refused to give specifics. Story or no story, this is a brilliantly crafted progressive rock album. The songs are all very well played and musically thought out and I can say that no two songs are the same. Listening to each of them is an adventure in itself. Plus, while Tony provides all the vocals, he doesn’t try to be Joe Cool Rock Singer. Since it was first presented to me as the single, “What I See” continues to be my favourite track on the album. However, there many a good songs that could rival it. I don’t even care that “A Boy Who Can’t Talk” sounds very much like Pink Floyd to the point that when I first heard the intro, I thought to myself, “Is this ‘Pigs on the Wing’?” Other standout tracks for me are “The Shepherd,” “Pink World,” “What Artie Knows” and the hardest rock sounding songs, “This Perfect Place” and “In the Zone.” But fifteen of the 26 songs could easily be included, (the other eleven are all less than 90 seconds and most of those are damn cool), so that’s pretty good. “Pink World” was praised by the critics but sales of the album were modest at best. The latter is probably why Planet P didn’t make another album until 2005. However, this and the other Planet P album have gained a huge cult status since. Something Tony Carey can be quite proud of.